Economy Exterminators’ over 40 years of experience makes us the go-to experts for your mosquito control needs. Take action before you, your loved ones, or guests get bitten by pesky mosquitoes. We serve customers in the Raleigh, Wilmington, and Charlotte areas. Enjoy the freedom of the outdoors without worrying about a mosquito nuisance, call us today to schedule your free inspection! Buckets, garbage cans, recycling bins, tarps all collect water and make great breeding sites for mosquitoes. Make sure you check under your decks for items that may collect water. Small cans, lids, cups and even bottle caps collect water and make a warm water breeding site. Tree hollows and cavities allow water to collect, seal them if possible. Cut back trees to keep gutters draining freely as standing water in gutters make an excellent breeding area. Excess heavy shrubs in yards will reduce sunlight and make this area a mosquito haven. If you have a fish pond always make sure you have live, healthy fish – they eat the mosquito larva. Try to keep pond weeds down, this makes it easy for the fish to feed on the larva. Pools must be kept chlorinated and filtered. Kiddie pools should be drained when not in use, remember water will collect in them even if they are upside down! Plastic toys, deflated toys, wagons, plastic basketball hoops will all collect water and usually very small amounts, which allows it to warm quickly, making a perfect mosquito breeding environment. It is almost impossible to drain water from a tire swing, just drill several holes in the bottom to allow water to escape. Remove any and all unused tires from your property! All of these items collect water, during the warmer months they must be drained at least once a week to prevent larva from breeding. Boats stored in your yard and property make excellent breeding sites. Covered or not, they collect water and many times go unnoticed for long periods of time. If covered with a boat cover or tarp, make sure water is not collecting in depressions. If uncovered, there are many areas that catch rain water, even if the drain plugs are removed. Check these often in the warmer months and taken action to eliminate standing water to ensure mosquito control is checked off your list. Often, brick or block walls will have missing bricks, which allow water to collect down in the wall, making the problem area impossible to see; therefore, action is not taken to eliminate the mosquito breeding site. Make sure all brick and block walls are capped properly. 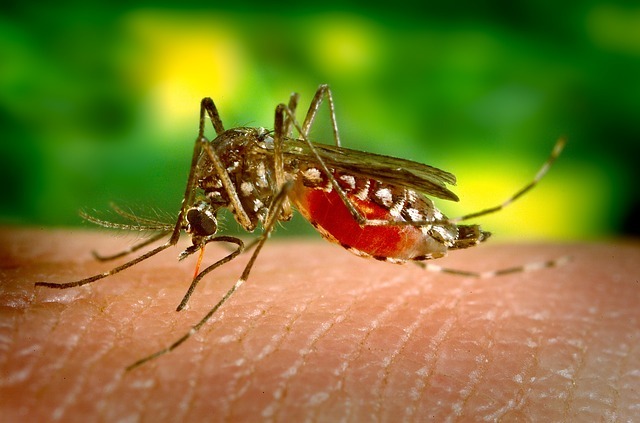 If you are still experiencing issues with mosquito control after completing this checklist, call Economy Exterminators to begin enjoying the outdoors in summer again! Our technicians are specially trained so that the mosquito control applications are both effective and safe.